Although the perception of America’s colleges as tranquil oases of learning may have always been little more than a fanciful image, a harsh reality faces every community college president today. We are confronted with a challenge framed by a simple question: How do we keep our campuses safe? Whether the weapons wielded by potential attackers are high powered rifles or silent cyber probes, the task of keeping the contemporary community college safe poses a distinctly 21st century challenge. No longer valid is the affable image of the “campus cop” directing anxious students towards the registration line or setting up cones to reserve parking spaces. We need a professional public safety force, one that is well-trained to support the needs of the diverse student populations we serve and one fully capable of responding to today’s campus challenges. Public safety officers have not always been top-of-mind. We often viewed them as handling low-level crimes, managing crowds and issuing parking tickets. Since the year 2000, 17 active shooter incidents have occurred at college campuses, jolting us into contemporary reality. Given the national love/hate relationship with guns and gun control, incidents such as these pose a quiet but constant threat. Although the risk of active shooter events occurring at one of our 1,103 community colleges may be small, the impact, should one occur can be catastrophic, as our colleagues in Oregon, Texas and Arizona know firsthand. Given the millions of students we serve annually, the potential for some level of disaffection is high. Even at my own institution, we discovered that two former students were perpetrators in active shooter events in Florida and Maryland. Although some debate whether college public safety officers should be armed, realistically, even with an armed public safety force, no campus can be fully protected against a gunman truly intent upon human destruction. However, that should not stop us from doing all we can to prepare. A commitment like this requires investments in technology, personnel and training as well as the development of active protocols to support the public safety infrastructure. 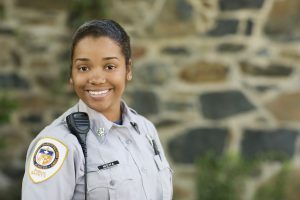 Whether a quarrel in the cafeteria turns ugly, a cell phone is stolen or an active shooter appears on the library roof, we need a skilled team of public safety officers ready to act. And they need the proper tools to assist them. Today surveillance cameras, classroom locks, campus alert systems, emergency call boxes, panic buttons and mobile apps are as necessary as desks and chairs. Campus safety is not a job for public safety officers alone. Officers must be well-trained, but so must the college community. We must assemble crisis intervention teams involving experts in facilities, counseling, communications, and emergency management. Proper education and training, along with the dreaded, but necessary, campus emergency drills, are vital for all students, faculty and staff. Threats to academe are now a fact of life with safety breaches of all types occurring on campuses of all sizes and composition. What we do to prepare for them will determine how successfully we can deflect them. **This opinion piece first appeared in the February/March edition of the Community College Journal.